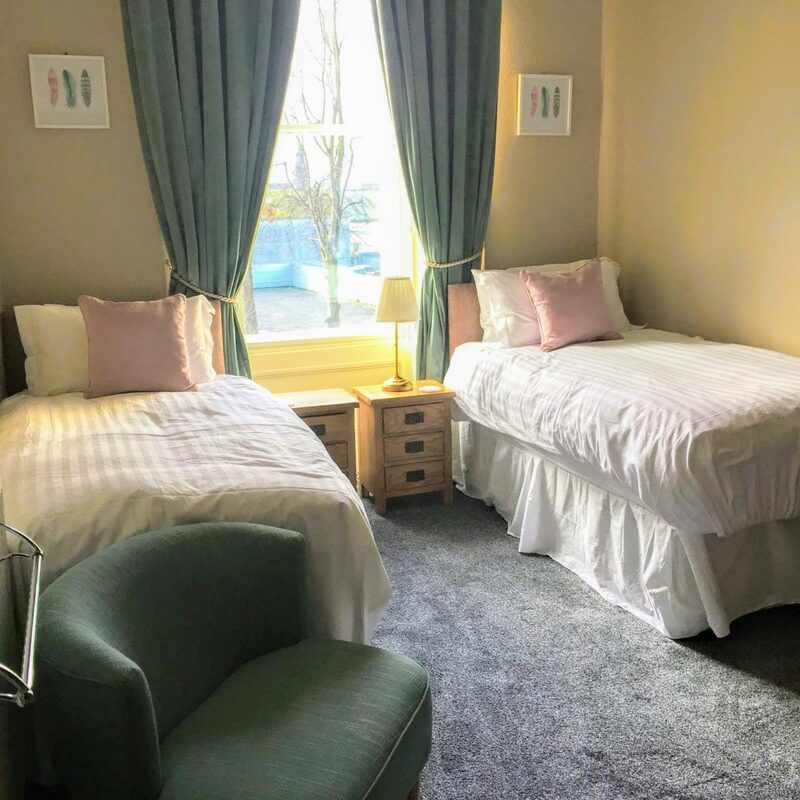 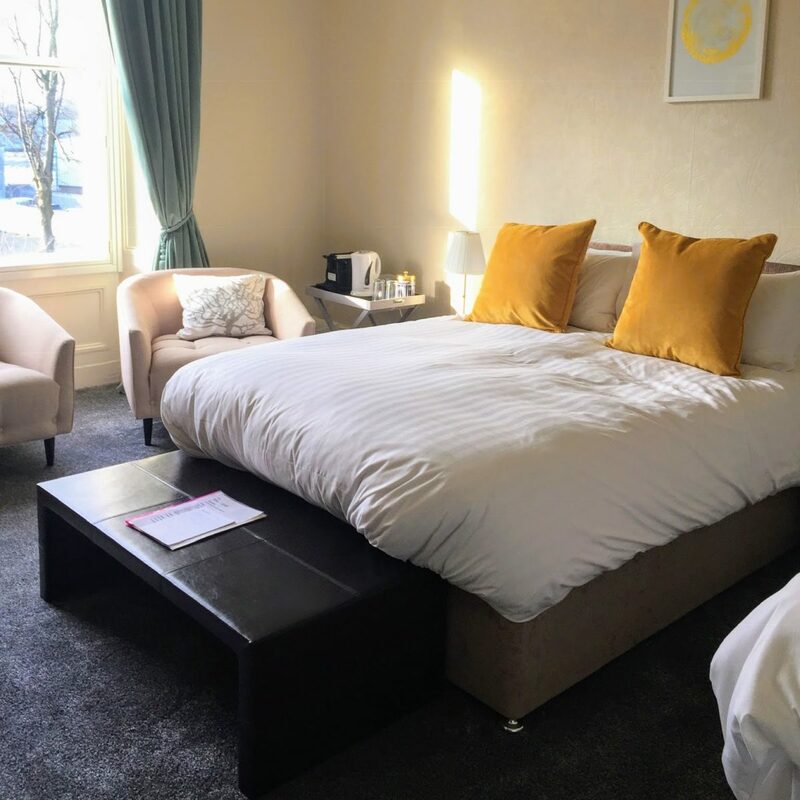 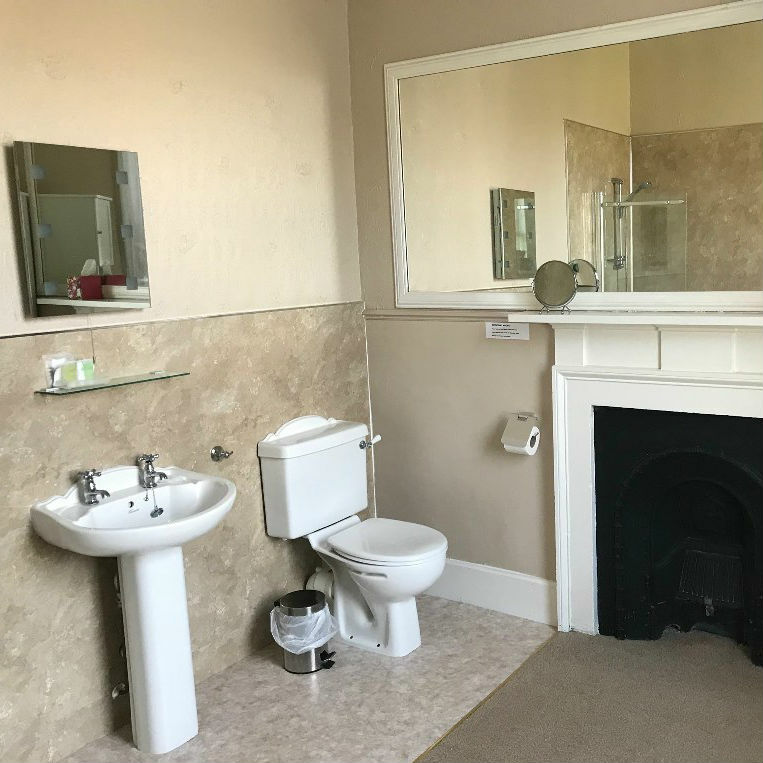 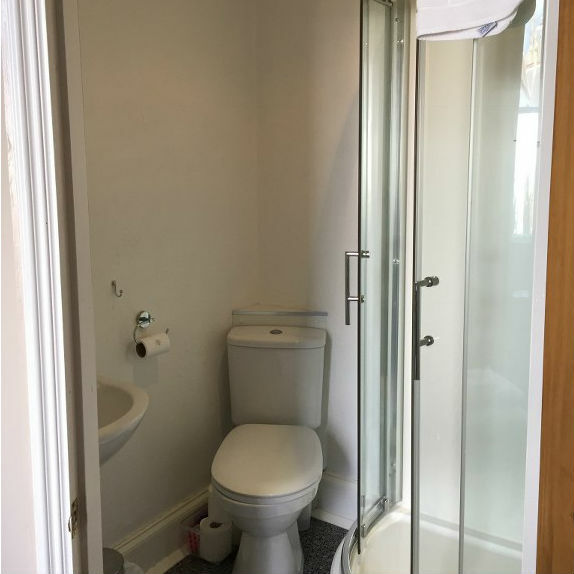 Each room at Glenaldor House features an en suite bathroom with free toiletries, free Wi-Fi, tea/coffee making facilities, and TV. 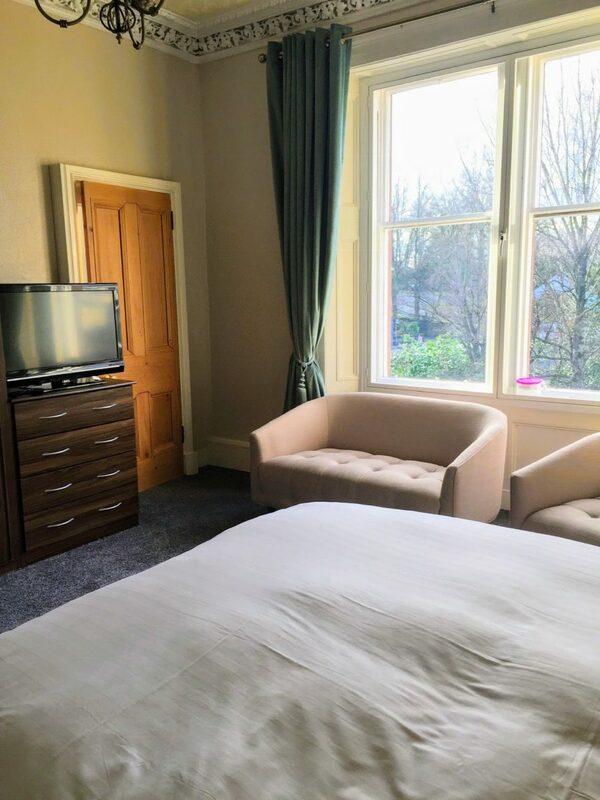 Some of the rooms overlook the pretty landscaped garden. 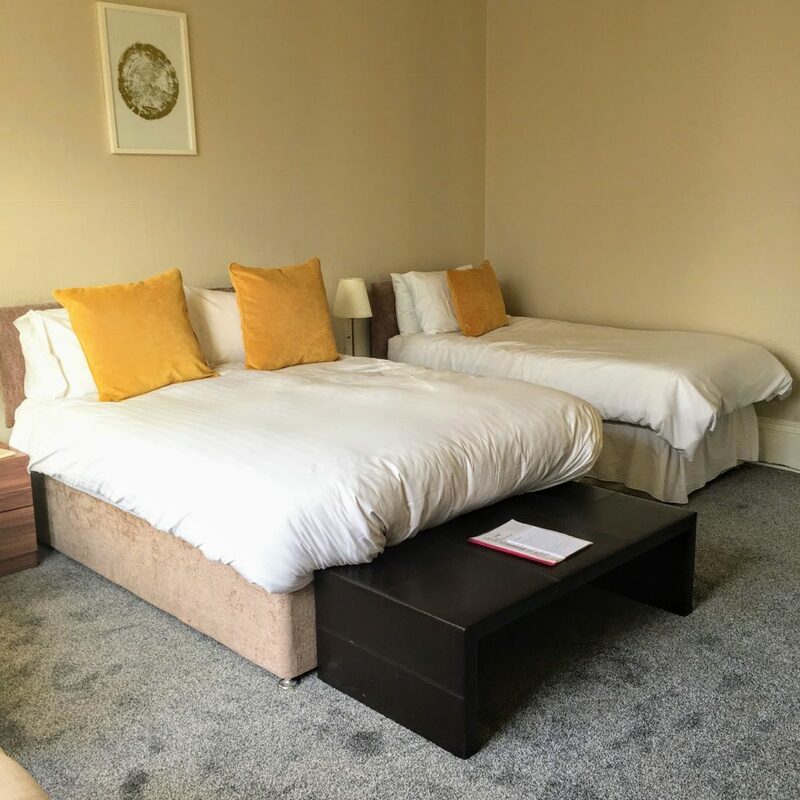 All rooms are located on the first floor and are only accessed by a flight of stairs. 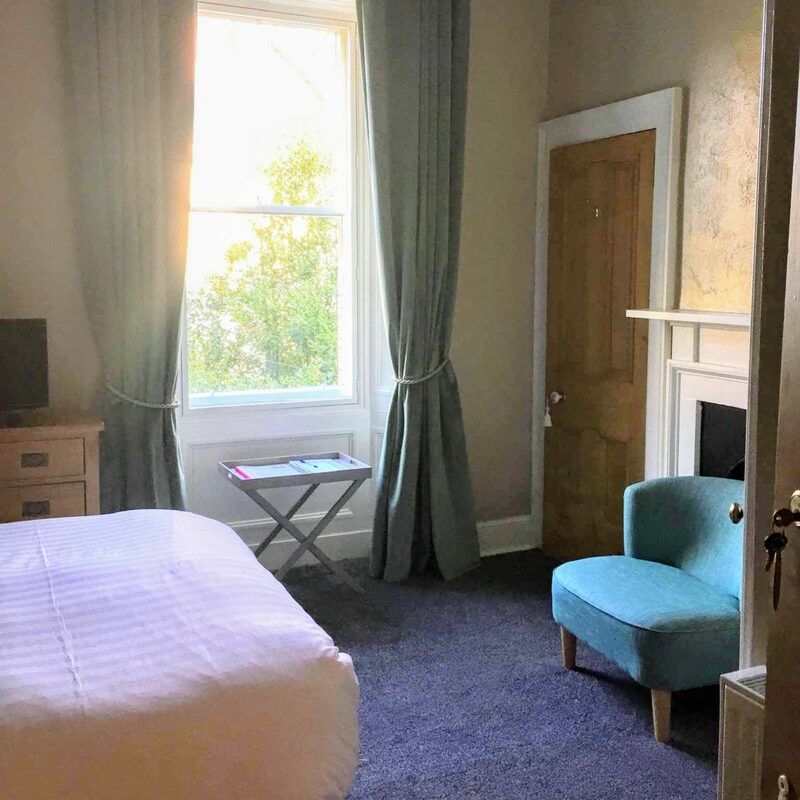 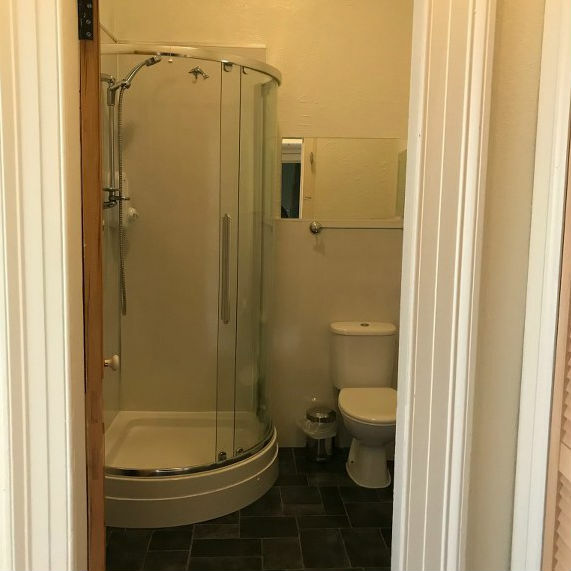 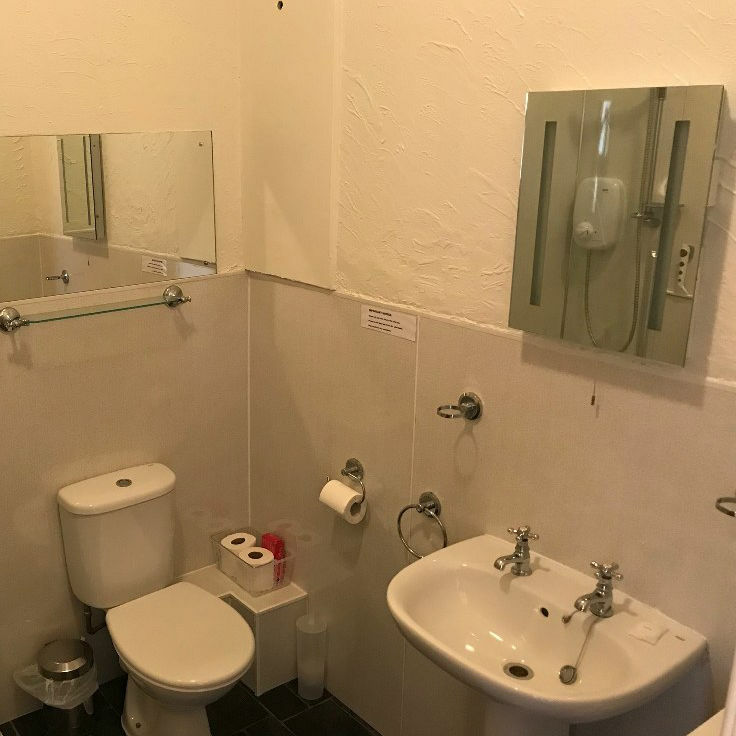 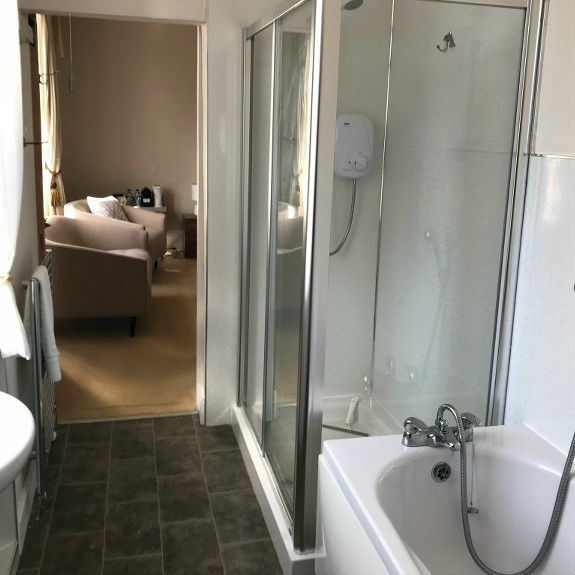 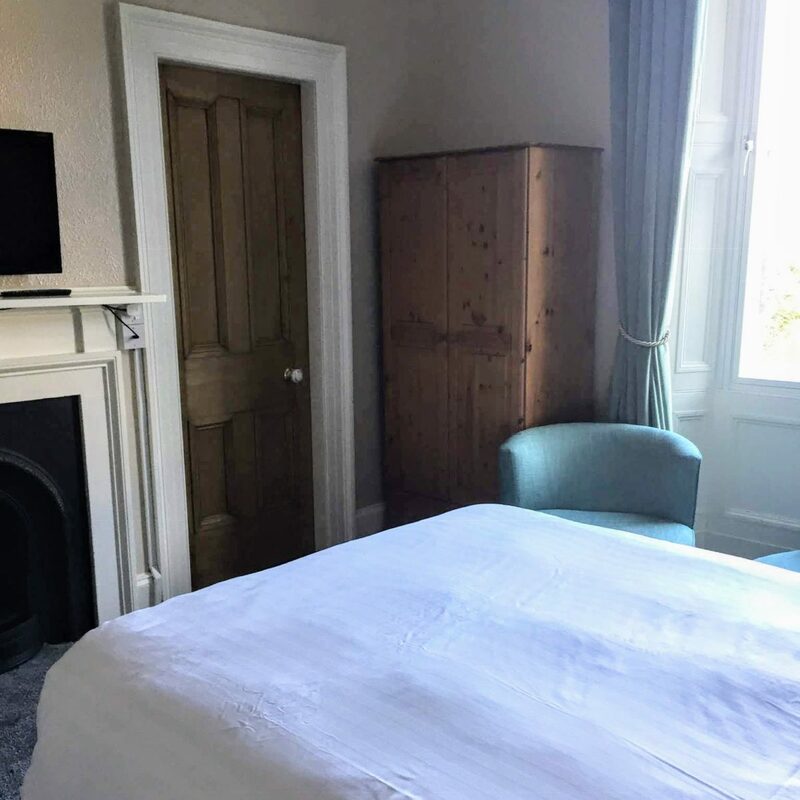 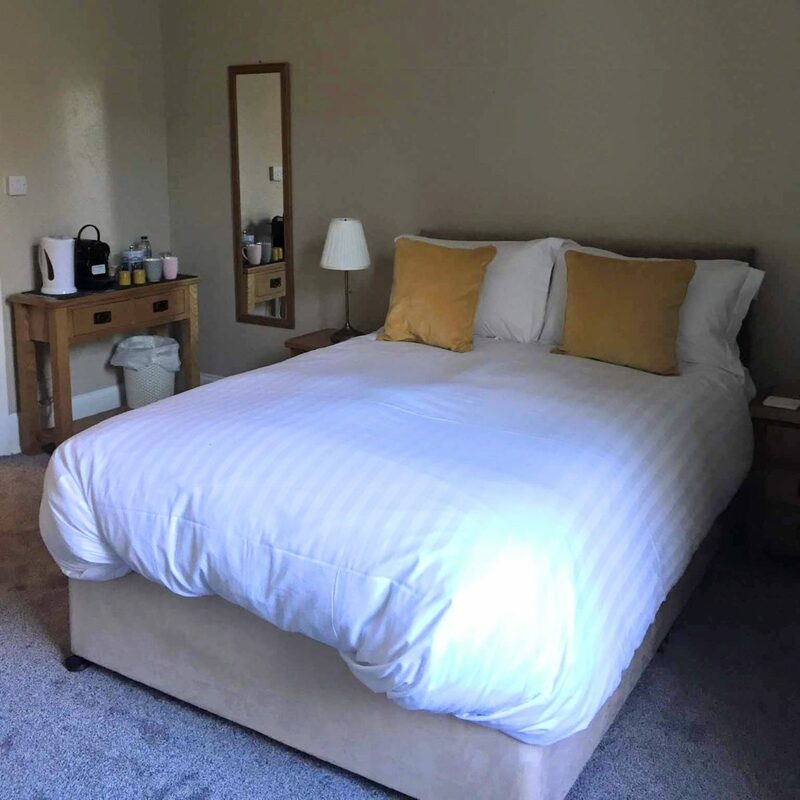 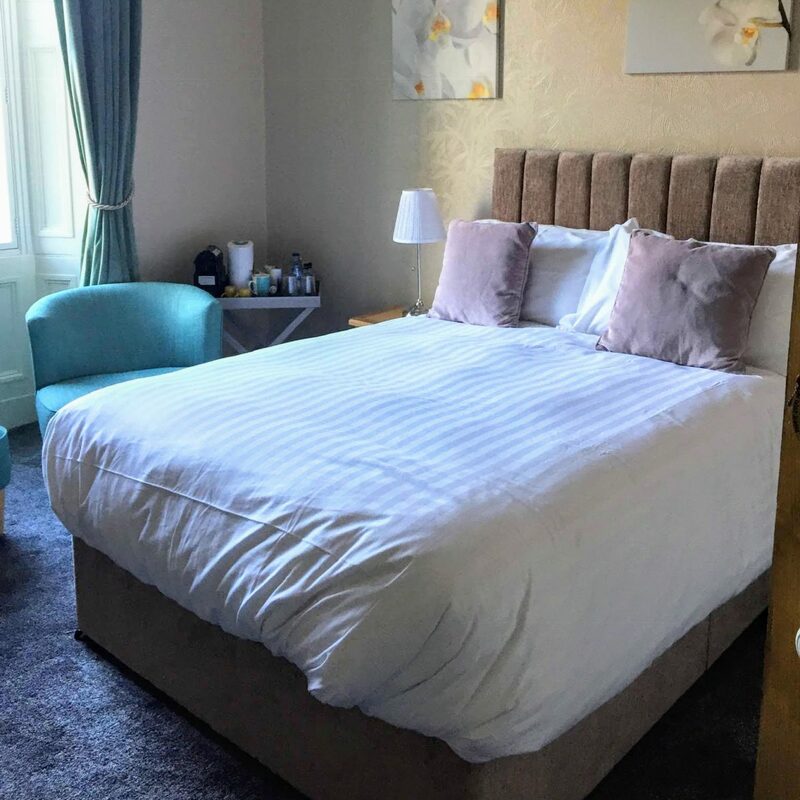 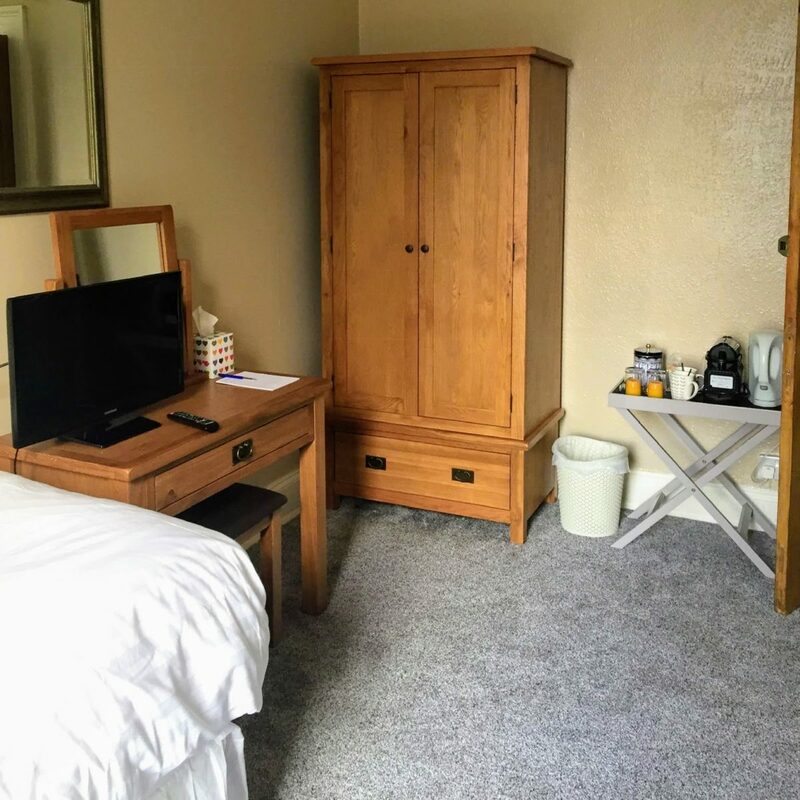 A spacious double room featuring a double bed, ensuite bathroom with shower, tea & coffee making facilities, WiFi and TV. 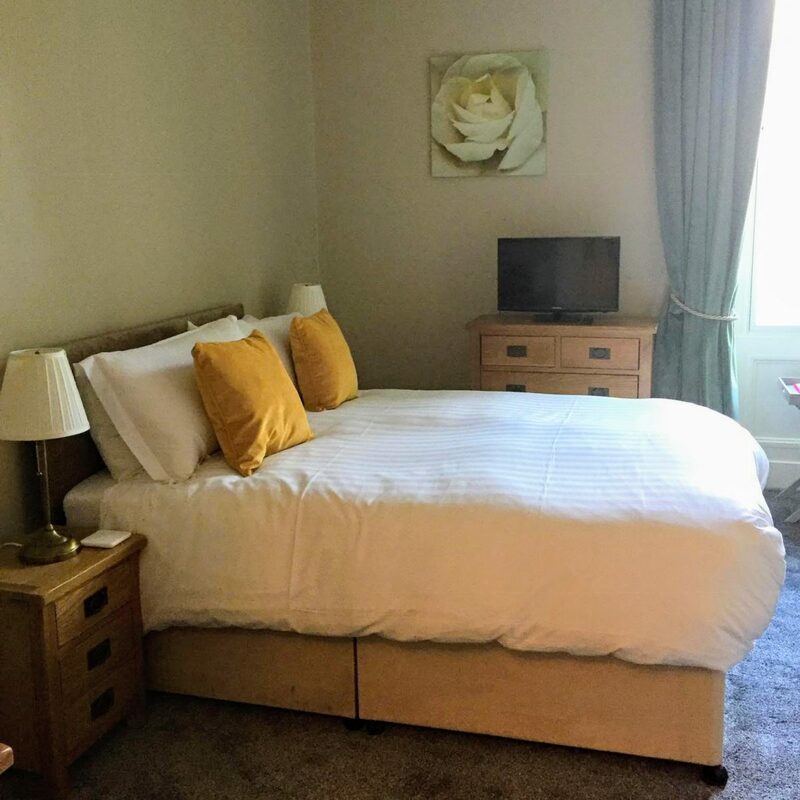 A large room with a Kingsize & single bed, ensuite bathroom featuring a separate bath and shower, tea & coffee making facilities , WiFi & TV.